Are you interested in seeing what the 6th graders are up to in Discovery Room? 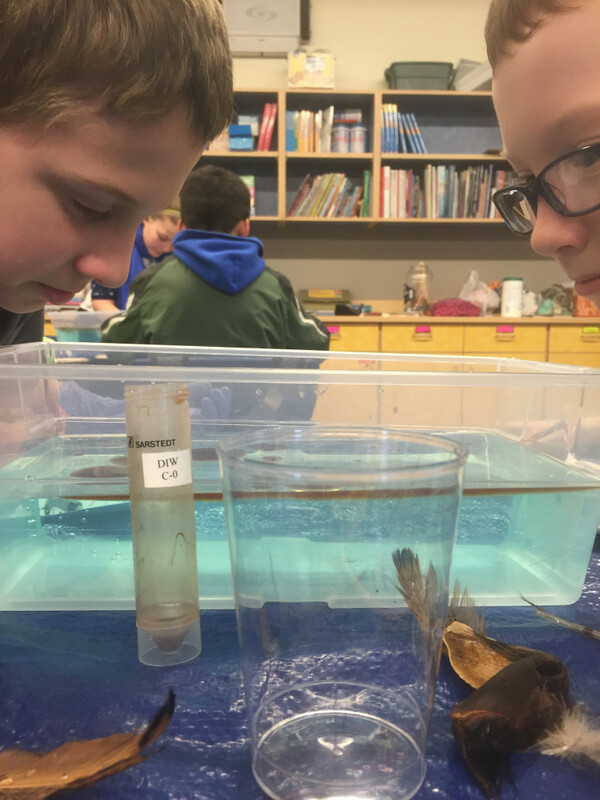 On Friday, April 11, from 1:30-2:30 PM at the Bob Korn Memorial pool, you can see the 6th grade remotely operated vehicle (ROV) program go into action! 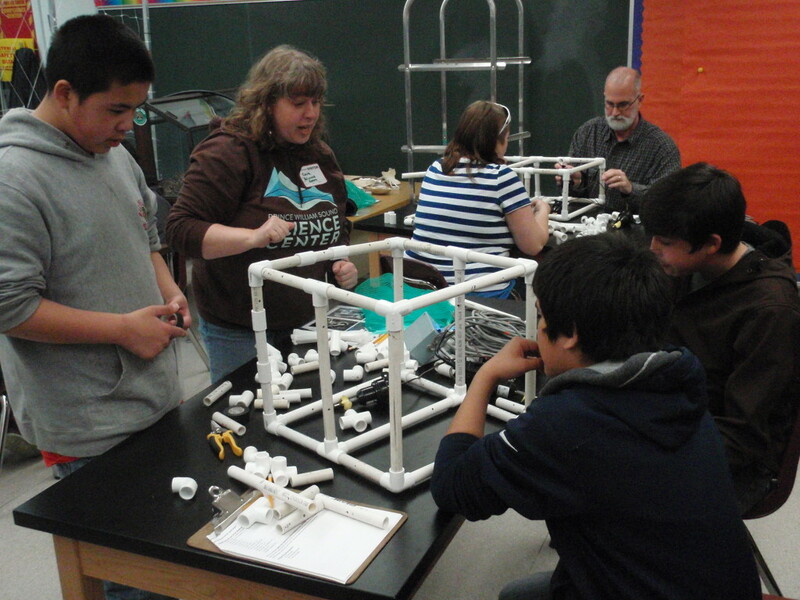 During Discovery Room, students have been constructing ROVs out of PVC piping and using bilge pumps for motors. 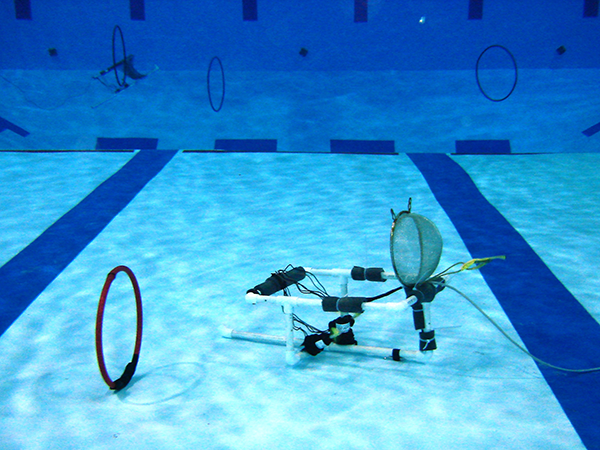 During the ROV Challenge, teams will drive their ROVs through hula hoops, pick up a neutrally buoyant ring and place it on an underwater hook, scoop up a beach ball and bring it poolside, and hover in front of a target. All these tasks simulate oil spill cleanup efforts, teaching students how challenging it can be to clean up an oil spill with an ROV. New this year, students will have the opportunity to attach lights and cameras to their ROV. Not only will students be able to film what their ROV does underwater, our new Aqua-Vu camera will allow them to see the ROV’s point of view in real time. Additionally, Wil Tushaus and Scott Pegau, Ph.D. are working to update the ROV control boxes to allow variable speed motors. An engineer at heart, Wil has spent many hours tinkering with electrical circuits to enhance the accuracy of driving the ROVs. He is hoping to make the ROVs easier to drive, allowing students to focus on completing the challenges. Cara Goodwin assists the St. Paul students building their ROV.